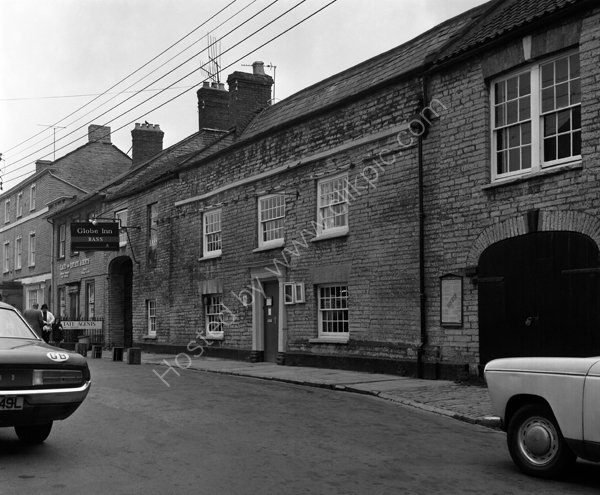 Globe Inn Somerton around 1974. man and woman outside estate agents while boy stares at photographer. Ford is L registration first registered 1972-73. Boxes outside to stop parking are timber, 24 section, marked Babycham. For commercial use of this photograph please visit www.alamy.com and search for E8BF4A but for a one off print, please see below.